days by the water or step back in time. A Medieval gem of the cinque ports. Fascinating buildings, art galleries, potteries, antiques, cobbled streets and a good selections of places to eat and drink. 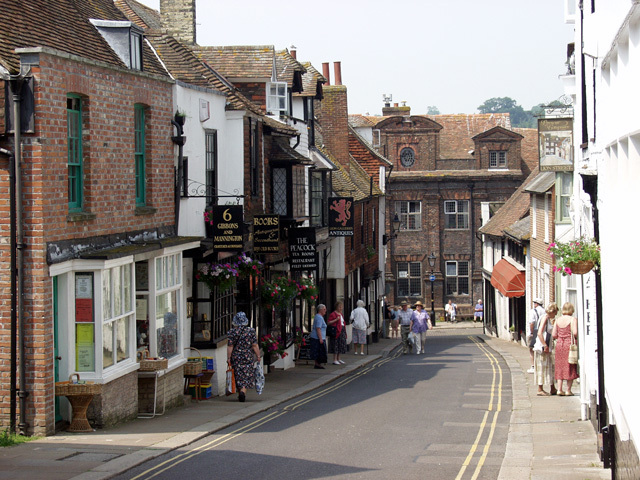 A Medieval gem of the Cinque ports; fascinating buildings, art galleries, potteries, antiques and cobbled streets. You can also find a Local Farmers Market on most days of the week selling fresh produce. This is an area of the seaside comprises saltmarsh, sand, shingle and pools where you can find some very special wildlife. Kite surfing, Windsurfing and sailing lessons. Carpets of meadow flowers, exotic gardens and the famous long border. The south east's largest lake with many water sports and cycle hire. Explore the awe-inspiring ruins of the great abbey and the picturesque market town of Battle. Go ape, cycle hire and beautiful forest walks. Vintage steam trains dating from Victorian times travel through 10 miles of stunning countryside. Winchelsea beach is our closest and family favourite. In the height of summer it is still very quiet with safe swimming. Shingle at high tide and sand at low. Lovely for BBQ's and convenient as there is co-op near by. Camber sands just the other side of Rye has miles of sandy beach with sand dunes. This can get very busy in August so our recommended time to visit would be at the end of the day and off peak season.